Yes, we offer free worldwide shipping on all orders. Classic styles displayed on our website are normally delivered within 10 - 15 working day. 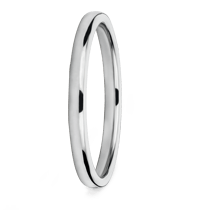 More complex items such as eternity rings, bespoke items and vintage jewellery can take up to 30 working days. 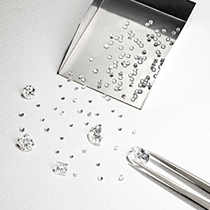 Loose diamonds can be delivered within 7 working days. In many cases we can meet shorter urgent deadlines, please just contact us and ask about the specific item you want to order. All our items are delivered in discrete shipment packaging (Royal Mail for UK and FedEx for non-UK delivery) with no indication of what is inside. Return address is listed as "Seventy Seven London" for insurance purposes. However, international orders that cross country borders comply with local rules about declaration of value. 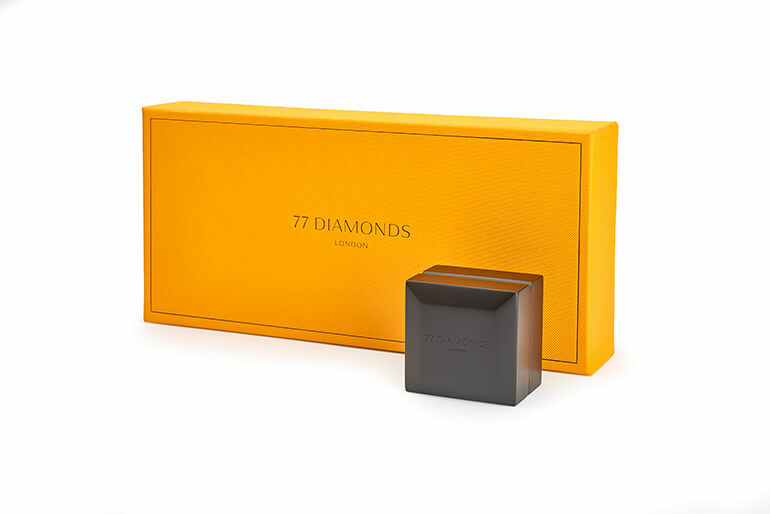 The actual jewellery is contained in a luxurious gift box with protective outer packaging. All items shipped within the UK are delivered via Royal Mail Special Delivery*, fully insured. Our global orders are delivered via FedEx*, again fully insured until they have been delivered to you. Yes we can ship to an alternative delivery address, but we will need some additional forms of identification and proof of address if the payment was made by a debit or credit card. Orders can be collected from our London showroom, as long as this has been agreed with the sales team (see contact us). The person collecting must be the person who paid for the goods and must be able to prove their identity. Customers in the UK will be subject to UK VAT of 20%. Customers based in Germany will be subject to German VAT of 19%. Customers in Sweden will be subject to Swedish VAT of 25%. All orders purchased by customers who live inside the European Union (EU) will be subject to the UK VAT rate of 20%. If you have purchased your item from our London Showroom, you are entitled to claim the VAT back within 3 months from the date of purchase. We will provide you with all the necessary paperwork at the time of purchase to claim your refund. 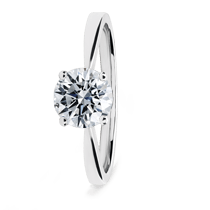 Customers from the Channel Islands (including Jersey, Guernsey, Alderney and Sark) are eligible for tax free shopping when purchasing from 77 Diamonds. All orders will be shipped directly with Royal Mail Special Delivery and will be exempt from UK VAT. For further information contact our sales team on +1 6466641934. All BFPO order totals for delivery within the EU will still include VAT, as will your payment. If you qualify for VAT free purchasing the VAT will be refunded. Before we can issue a VAT refund for an order dispatched to a BFPO address which is within the EU, UK VAT legislation requires us to obtain a "certificate of entitlement" confirming that the items have been dispatched to, and received by a qualifying body or person as set out in paragraph 14.4 of HM Revenue and Customs Notice 725 dated January 2014. 77 Diamonds will accept a copy of the order receipt which was dispatched with the item(s), signed and stamped by the head or acting head of the embassy, high commission, consulate, visiting force contingent or international organisation, with evidence of the official status of the signatory. Alternatively, you can e-mail this information in PDF format, to [email protected] You'll need to contact us within 3 months of the time of the supply of goods.